My boys are so excited. During our family vacation this summer we will be traveling on a plane! It will be a little over two years since they’ve last been on one and my six year old doesn’t remember much. I told him that he could pack his small backpack with a few activities to play with. 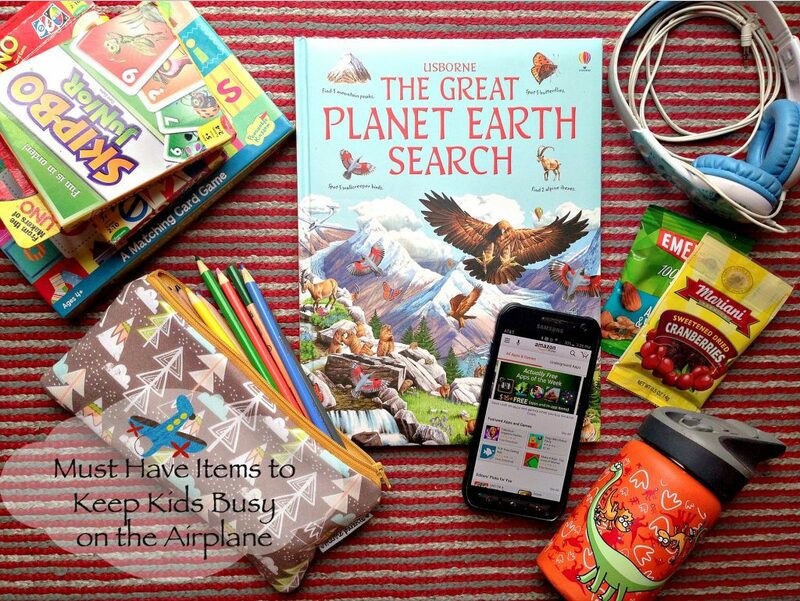 Here are my must have items to keep kids busy on the airplane. Search Book. Our Usborne Search Books are my go to and I almost always have one when I leave the house. They are perfect for making time go faster and teach the little ones words, animals, places, you name it. They have levels for all ages. Sticker and Activity books are great too! Card Games. Our favorites are Uno, Skip-Bo Junior and Go Fish. Cards are easy to pack because they don’t take up much space and everyone in the family enjoys them. Pencils or Crayons. I choose one of each color and carry them in a pouch along with a small notebook for doodling or writing. The older kids can start a journal about their adventure! Snacks. Healthy snacks and a water bottle is a must. Have them munch on them as you are lifting off and landing. The chewing helps when the air pressure is popping their eardrums. Headphones. No one else wants to hear the volume on their electronic devices. I recommend buying something new out of this list whether it is a new book, game or a snack they’ve never seen. It will keep their attention the longest! Speaking of electronic devices. Do you have an Android? I have one more thing to add to the list. Amazon Underground – which is right on your phone already when you download the Amazon app! 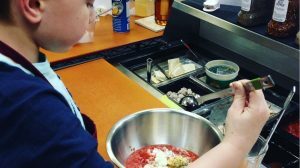 The kids can keep busy FOREVER if you want them too – ha! You will find Amazon Instant Video plus sooooo many FREE apps, games and even in-app items. Unlimited lives, levels, upgrades – everything! So many kid friendly options including classics like Uno, Family Feud and Wheel of Fortune. 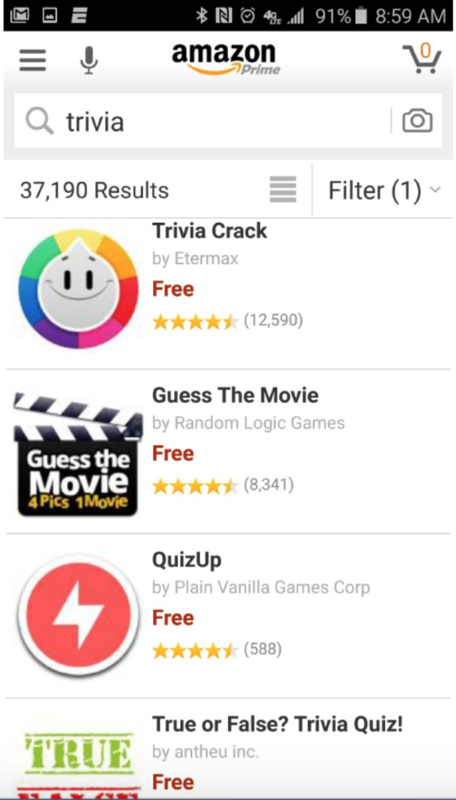 Our family favorite apps are Trivia games. There is a ton of them! We’ve played True or False? Trivia Quiz the most. It is great when we are in traffic and attention spans are nonexistent (like on a long flight!). I read the statement and everyone yells out whether they think it is True or False. P’Diddy can play along even if he doesn’t quite understand all of the questions. The kids love when they get one right over the parents. I even caught Hubby downloading a mind game when he was at work the other day, since I get the emails when an app is added. It must have been a downtime for him. hee hee. Download the Amazon Underground app from your Android smartphone HERE. What are you Must Have Items to Keep Kids Busy on the Airplane? Did you check out Amazon Underground?